This is a great summer snack for an evening with friends, an easy starter dish or even a light lunch. Lightly fry in a pan, set aside. Add wasabi paste to your taste. Also add salt, pepper and a squeeze of lime. Mix one cup sugar to two cups vinegar. Fill and fold samosas into suitable triangular shape and size. When ready, fry samosas either in a deep fryer or in a pan on the stove. 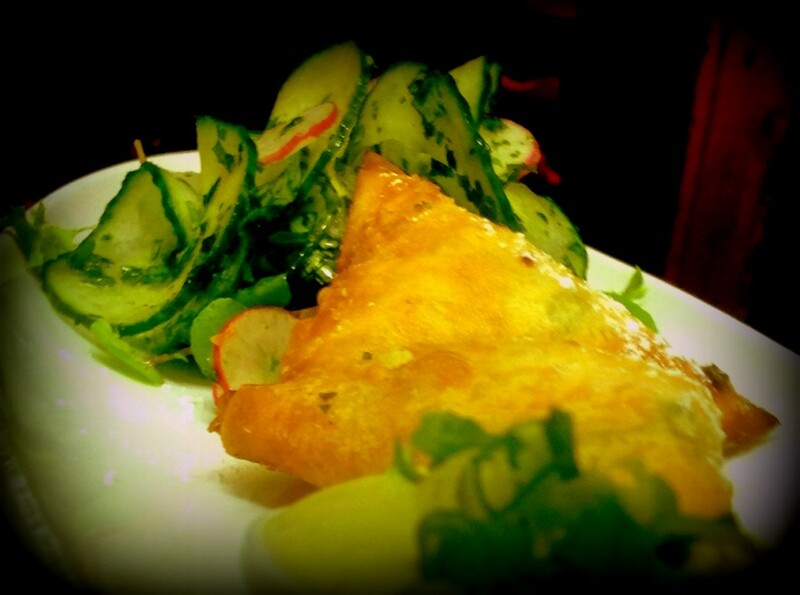 Serve samosas hot with cucumber pickle and wasabi mayonnaise. This entry was posted in Phantom Feasts and tagged Prawn Samosas. Bookmark the permalink. ← Ready to supercharge your productivity? Try these four morning habits to strengthen your inner resources!